Located between Vietnam and Thailand, Cambodia shares many of the same virtues and problems as its neighbors. The tropical beauty of its beaches, jungles, and river life will not disappoint. 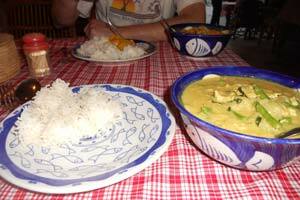 The cuisine also has many similarities with its more famous neighbors. What sets it apart are the famous ruins of Angkor Wat, truly one of the world's most impressive archeological sites. Unfortunately, Cambodia also shares its neighbors' troubled relationship with democracy. Currently, the country is called a "constitutional monarchy." Although there are elections, one party controls the government, and the Prime Minister has no intention of stepping down. As one of the world's poorest countries, Cambodia has needs that no amount of aid can eliminate. Hunger, poverty, oppression, and corruption are widespread. ELI volunteers have much to choose from. We can't expect to change the country overnight, but the ongoing presence of international volunteers and tourists helps keep the country moving forward towards a more liberal and progressive society. The capital city of Cambodia, Phnom Penh, is on a crazy growth spurt. It is a very international city, filled with diplomats, travelers and international NGOs. There are a lot of western-style western shops, restaurants and bars, but in a huge city like this, it is easy to escape the foreign influence and find Cambodian culture around any corner. We always try to mention that cities like this are hard to get around. Traffic, distances, lack of good public transportation all contribute to this. 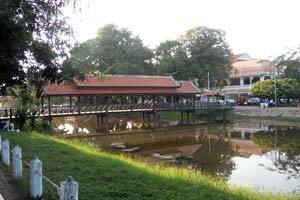 If you find big cities overwhelming, Siem Reap offers a great alternative. It is fairly small and very easy to get around. 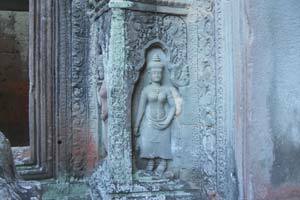 It is also home to Angkor Wat, a World Heritage sight. Like the pyramids of Egypt, Peru's Machu Picchu, Beijing's Forbidden City, this is a "must see" trip you will not regret. After you fill out the Application Form on our website, our Application Advisor will be in touch to help you with the next steps. 35% of the Cambodian population lives under the poverty line – in order to strengthen the private sector and local economy, NGOs set up microfinance and microloan projects to support communities and families, enabling them to set up their own businesses. We cooperate with several organizations in Phnom Penh as well as in the provinces that deal with microfinance and microloans. 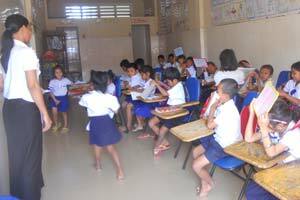 Since most organizations work in a variety of locations, the volunteer might have the chance to visit communities in different areas of Cambodia. See our discussion of microloans here. Help disadvantaged women of Phnom Penh by volunteering with a local NGO that strives to empower those living in 12 of the poorest communities in the city. This grassroots organization focuses on very poor women, victims of abuse and domestic violence and those living with HIV or AIDS. It offers training and education; disaster aid and micro finance programs. As an ELI volunteer, you will help to interview members of the participating communities; help monitor and evaluate microfinance projects and help prepare training workshops. This is an exciting opportunity for anyone interested in microfinance, community building, the organization of outreach programs, public health and women's empowerment. The Vietnam War, the Khmer Rouge Regime and the killing fields and several years of civil war were devastating to this country, its infrastructure and its economy. Since 1998, the country has been struggling to rebuild. Cambodia still needs to cope with many problems: a weak democracy and corruption as well as poverty are big problems. Initially, there was a huge influx of foreign aid, but that has been diminishing in recent years. 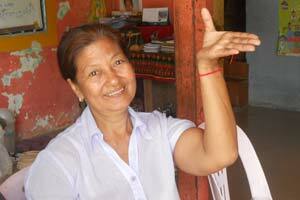 Nevertheless, Cambodia’s economy is growing rapidly and plenty of local and international NGOs are working here. 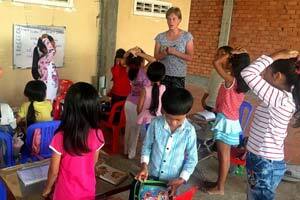 We would like to give volunteers the opportunity to learn about those issues first hand – in a local NGO. 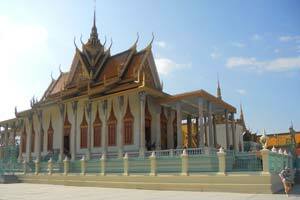 Cambodia is one the most Buddhist nations on earth, with 95% of Cambodian people engaged in Theravada Buddhism. 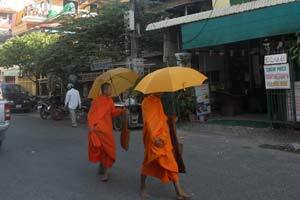 Monks play a central role in Cambodia’s everyday life: you will see them everywhere, a symbol not just of religion but also of perseverance. During the horrifically bloody Khmer Rouge regime in the late 1970’s, most monks were massacred and their temples levelled or badly destroyed in an attempt to eradicate the nation’s religious life and impose a rigid, secular communist rule. Life can be hard for domestic animals in developing countries. Keeping an animal requires time and money. Dogs and cats are commonly abandoned and others are born on the street. Because of perceptions of the value of animals in society, international volunteers are sometimes easier to find than locals in rescue centers. This is a good opportunity for the volunteers who are passionate about animals to minimize the suffering of our "best friends." Volunteers will work with local staff and foreign volunteers at the shelters. Buddhist monks commonly keep dogs and cats on monastery grounds. Some volunteers choose to go to pagodas to feed and give medical attention to dogs and cats. This is also an opportunity to learn about Buddhism in Cambodia. Don't underestimate the cultural rewards of programs like this! Credit card payments: Payment by credit card will be assessed a 3.5% surcharge. This is the fee that we will be charged for the transaction. Contact us about alternative forms of payment. Programs require at least a two week commitment with a 6 month maximum stay. All prices are listed in US Dollars. The program fees reflect the costs ELI faces when setting up a program. We work hard to keep our costs as low as possible. ELI is a registered 501(c)3 non profit. US taxpayers may be able to deduct some or all of the program fees. If you are outside the US and wondering what these costs translate to in your currency, click here for an online conversion tool that will give you the approximate current exchange rate. In most placements, volunteers stay in a comfortable local guesthouse. Volunteers either have their own bedroom or share a bedroom with another ELI volunteer. All meals are provided, but participants are free to eat at local restaurants or street vendors if they prefer. 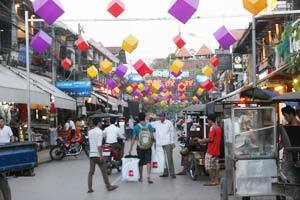 There is easy access to internet cafes and tourist areas through convenient local bus lines. Want to see the menu? We have the full volunteer menu available! Start dates in Cambodia are the first and third weekend of each month. All travelers headed to Cambodia are required to get a visa either in advance, or upon arrival. Cost is $20 on arrival, and $30 in advance. Our staff will meet you upon arrival at the airport. Here is a handy tool to see what time it is in Cambodia: Time Conversion Tool. Be sure to pack for the Weather in Phnom Penh, and keep in mind that April tends to be the hottest month of the year. Participants need to visit a travel nurse before their arrival in Cambodia. For immunizations, we defer to the recommendations from the Center for Disease Control. Learn a few Basic Khmer (Cambodian) Phrases before you arrive, you will frequently encounter language barriers - it's best to be prepared. Lastly, pick up a guide book - The Lonely Planet series is a popular choice.